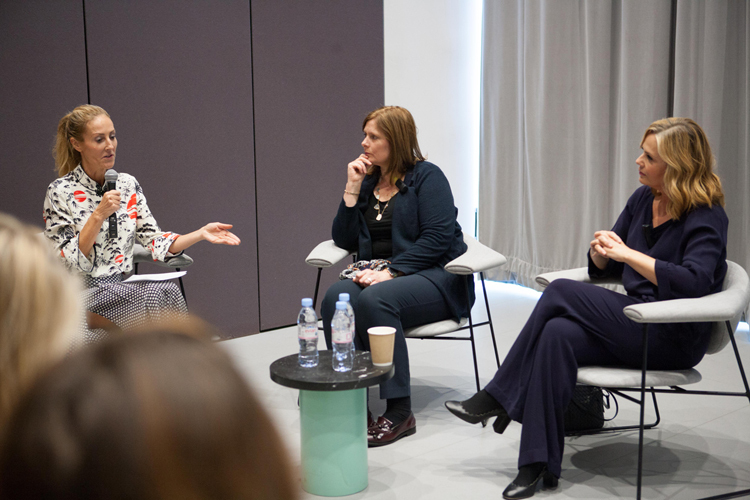 Women have a genuinely different perspective on financial matters and brands are failing to understand and connect to this perspective. As a result, financial institutions in the UK are missing a huge potential investment opportunity, Kantar's new Winning over Women study has estimated. "Were financial institutions more engaging to women, and able to support women in increasing their confidence levels for saving and investing to the next decile, an incremental £133bn would potentially be redirected to savings and investments," the study concluded. The study used a variety of survey methodologies including social media analysis of 1.5 million online conversations (600,000 of which were online conversations) and more than 30,000 interviews with women. "Women care about context, they care more about other people and less about themselves," Amy Cashman, managing director of Kantar's financial services and technology practice, explained. "We found that men focus on their own things, and concerns around financial security and so on. Women, however, are more concerned about families and everyday banking products when speaking about finance." The researchers also used facial recognition technology to see how people react to different ads. "We found that women are intrinsically less confident then men in this category and it's easy to shake their confidence," Cashman said. 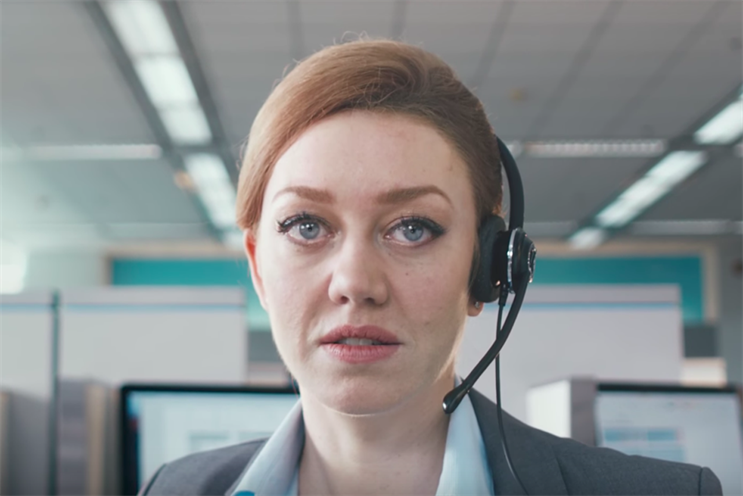 For example, when they tested out an ad from Barclays (by Bartle Bogle Hegarty) around fraud prevention (below) the researchers found that while the ad did well in terms of motivation, recall and long-term impact, it really turned women off. "Our female participants... at that point where the woman in the ad reveals that it's a fraud their faces just dropped, as if a button was pressed," Cashman continued. On the flipside, ads that played well with women during this testing phase were the ads from Nationwide by VCCP (below). "The executions provided context around why someone is making a financial decision and the storytelling vignettes resonated more strongly. Coincidentally, in the past year there have been disproportionately more female switchers than male in favour of Nationwide," Cashman said. "Even though targeting women may not have been part of their strategy, it has benefited them because the style resonated with women." As a result, women are less likely than men to perceive financial brands as trustworthy, understanding, dependable and accessible. Investment and pensions is a sector where women particularly feel left out, Cashman said. In this, all banking services are equally to blame. "Women’s lower engagement is also a major factor behind their concerns and shortfalls in retirement income," pointed out Cashman. "Average men’s retirement savings, at £73,600, are three times greater than women’s, which averages just £24,900. This makes improved engagement of women in the financial sector a social imperative as well as commercial opportunity." Furthermore, by not connecting with women, these financial institutions are not only losing out on their potential investments, but they are undermining female confidence in this sector. The study found that 65% of women, vs 55% of men, self-identified as having low-confidence when it comes to financial matters. This is not to be confused with a lack of competence. For example, the study found that two-thirds of men underestimate the cost of buying a home compared to less than half of women. However, when faced with the setback, men are more likely to borrow from friends, family, or to take bigger mortgages. "Women are less likely to find other sources of financing if a house is more expensive than they expected. A small knock to their confidence and they stop," Cashman noted. This adds to the barriers faced by female founders in gaining investment. At an event focusing on female founders yesterday evening, hosted and organised by MEC, panellists shared how difficult it could be gaining an interview with a bank for a loan. "When you finally get an interview, you almost feel grateful that they let you show up at a bank and request funding," Sarah Brown, president of TheirWorld said at the event. Even Liz Earle, founder of the eponymous skincare brand now owned by Walgreens Boots Alliance, has had to face the intimidating scepticism of the male-oriented venture capitalist world. "It struck me recently... I had a meeting with VCs and they were all men. They kept me waiting for half an hour and, while I'm not precious, I did wonder if they would do this to me if I was a man," Earle shared. This perception of hostility is not subjective. Kantar's research found that in general, women found banks to project unwelcoming, self-interested personalities when they met with relationship advisors. Research by Allbright too has proven that VCs discriminate between men and women when it comes to funding. "Women are asked their strategies for retaining current customers while men are asked about acquisitions and growth. It speaks to the level of confidence that VCs have in women. And ties into the kind of funding you get: Women average out at £8,000, while men get £30,000," Verra Budimilja, chief strategy officer of MEC said. As a result, women have to be twice as prepared as men before walking into these situations, advised Earle. "Financial institutions are focusing their efforts on the confident, rather than the competent," Bart Michels, UK country leader for Kantar said. "In failing to develop client experiences rooted in men and women’s fundamentally different perspectives on finance, financial services institutions are missing a very significant business opportunity."